The recent explosion of IoT deployments has transformed how businesses track and manage their supply chains. The analytical power of smart warehouse systems, in particular, has produced greater insight about the potential of IoT technology to improve workflow and streamline large-scale operations. Many industrial experts have started referring to this tech-driven trend as digitization," though the characteristics of each implementation differ based on isolated needs. A 2016 Global Industry 4.0 Survey conducted by PwC found that companies moving toward digitization could expect an annual increase of 4.1 percent improved efficiency. Judging by the number of new deployments over the past two years, businesses appear to be embracing the practice in hopes of cutting operational costs and increasing ROI. But what does digitization mean for warehouses and distribution centers specifically? 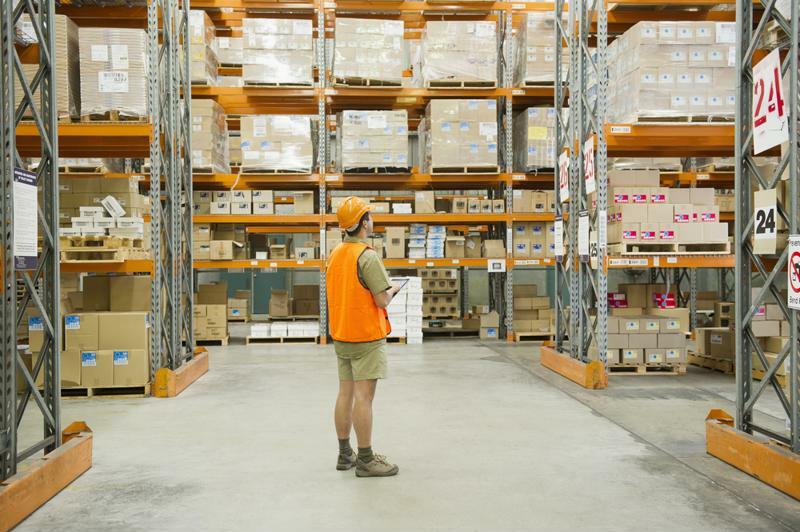 What makes a warehouse smart? Modern warehouses and distribution centers utilize a wide range of software and automation tools in their day-to-day operations, often controlled through a centralized Warehouse Control System (WCS). While most WCSs provide a good deal of oversight, there are often several other systems working in tandem to collect data and produce efficiency reports. What makes a warehouse "smart" is the ability to weave together multiple disparate data sources into an easily accessed network. From the collected data, supply chain managers are able to coalesce actionable insights into meaningful process changes. While discussing the role of IoT within smart warehouse deployments, Forbes contributor Daniel Newman pointed to five key areas of innovation that have increased operational efficiencies: asset tracking, vendor relations, forecasting and inventory, connected fleets and scheduled maintenance. So what do these key areas have in common? Cloud computing and big data are at the heart of supply chain innovation, made all the more salient by the growing reliance on radio-frequency identification (RFID) technology. Everything from cloud-connected temperature sensors, global positioning feeds, lift truck telematics and inbound/outbound inventory monitoring relies on RFID hardware to efficiently transmit and receive data. The more sources of data are plugged into an IoT system, the more dependable network infrastructure is required. For example, an entire distribution center could be brought offline by a lightning storm or power surge without industrial-grade Ethernet switches and surge protectors to secure the network. In this sense, IoT deployments are both a powerful tool and a calculated liability. Industrial IoT is helping to improve supply chain efficiency. If the industrial digitization trend continues at its current pace, distribution centers will require more elaborate safeguards to insulate their operations from financial loss. Every piece of equipment hooked-up to an IoT network introduces a new point of failure, though most would not critically impact the supply chain if problems arise. A dead forklift sensor might only cause minor disruption to data collection and analysis, but a malfunctioning device server could seriously impact overall equipment performance. To ensure efficiency stays at expected levels, supply chain managers must fully assess their approach to console management, paying close attention to the risks posed by weak system infrastructure. Warehouse IoT deployments can vary based on specific operational requirements, the scope of products and services, and the degree of automation needed to keep up with supplier demands. Yet while the individual parameters may differ, all smart warehouses require a robust networking system to ensure strong connectivity around the clock. Perle offers high-performance network infrastructure that can keep warehouses operating at peak efficiency. Our industrial-grade equipment keeps critical data flowing, providing advanced connectivity that can support your second-by-second monitoring and reporting needs. Read some of our customer stories to find out how we've helped businesses optimize their logistical operations.